Between sailing, his first passion, and photography, his first love, the heart of Jean-Philippe el-Khazen leaned for both, in perfect harmony. His book, «La mer, planches nocturnes Du crepuscule jusqu’à l’aube» (The sea, night planks from dusk till dawn) is an invitation to a long sea voyage across the photo. 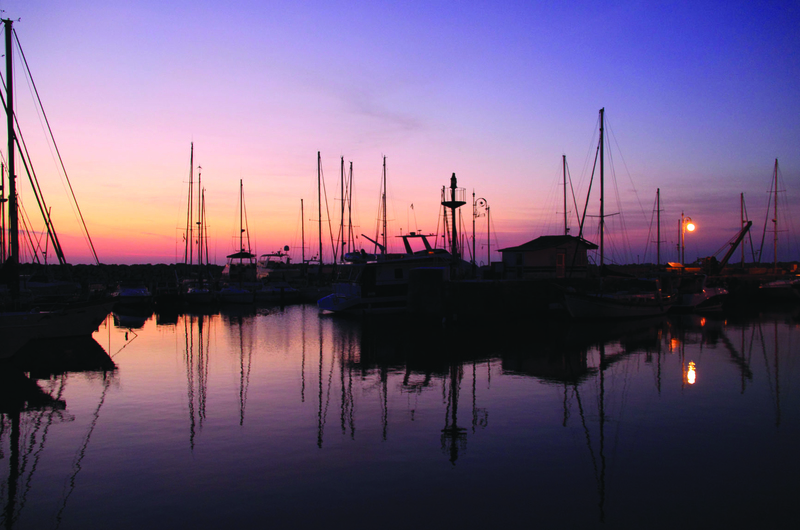 Catches of boats, birds, fishing boats, harbors and beaches take sea enthusiasts everywhere in the eastern Mediterranean, France, Greece and the United States … At first light of day or the last night times. In a meeting with Prestige, the author describes his wonderful photographic adventure, all vibrant and exciting. Jean-Philippe el-Khazen presents his book «La mer, planches nocturnes…» This is the world of the sea seen through a favorite theme, night photography. Instants taken as his travels allowed him, with unique shades. When did you get this passion for the sea? When I was teenager, I practiced some water sports, particularly sailing and scuba diving with underwater photography. Photographer since adolescence, did your style evolve? I started in photography with some hazardous experiences. This led to wacky results. Then things evolved and I got into the portrait. Later, I adopted the Snapshot. Do you develop your photos? What difference is there between yesterday’s photography and today’s photography? In the early 70’s, I bought my first development lab. The kit consisted of an enlarger, a cylinder for negative, a set of tanks, clamps and dryer. It was the time of the processes in which were used silver bromide salts, very aggressive to the house plumbing. It took hours of work and a lot of experience to pass the tests. Today, thanks to digital technology, the processes are extremely simplified. Just a good software, skill and of course a certain refinement. 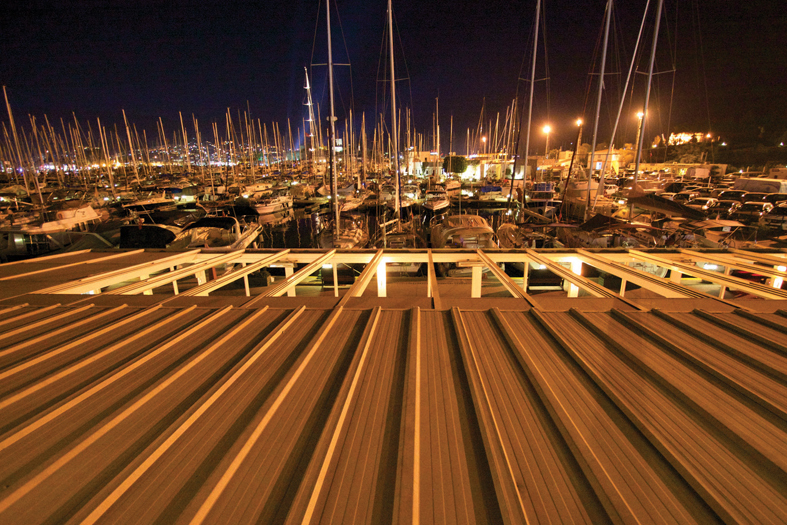 The sea, nocturnal boards … what do you mean by boards? In graphic art, a board is a drawing or picture illustrating a defined theme. Can you describe a shooting session? Unlike studio photography, Snapshot requires no heavy equipment. It is sufficient to take the camera and walk along a dock, a beach or be on the deck with your finger on the trigger. From the Mediterranean to the Caribbean through the North Atlantic, you reveal your love for the sea through vivid images. What scenery did you like the most? 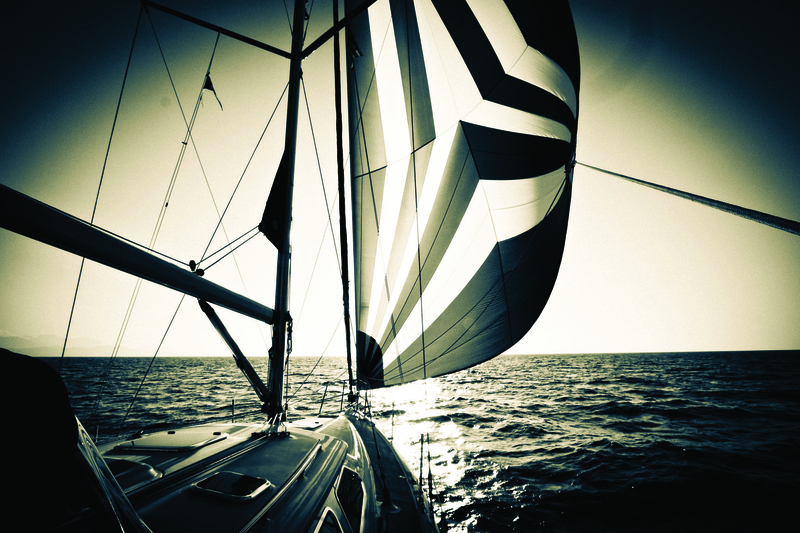 When you sail, you experience ultimate emotions. Even if we are only between sea and sky, this is where we best communicate with the majesty of the elements and colors. You’ve done a lot of traveling and yet you’ve chosen a selection of images for your book. How did you make the choice? As there are many books with sea pictures mostly diurnal, so I opted for a sort of night shots. Which picture has impressed you the most? The picture with a boat passing down a cliff. It is a majestic sight! You consider yourself as a sailor or photographer? Which passion prevails? Navigation is my first love and my first passion is photography. This is how I see them.